Spice is life – Britain’s continuing love for Indian spices and flavours. If there’s one type of food that the Brits have truly taken to their hearts and made their own, it is the curry. It’s Britain’s favourite take-away and I daresay the number of Indian restaurants could rival the number of pubs in the UK quite easily. Anyone know if that might actually be true? Curry is big business, with some analysts saying it’s worth between £777million pounds and £3.6billion – generated by over 10,000 restaurants in this country alone – and that’s just from Indian restaurants and not counting curries that are also sold in pubs, cafes, other restaurants and supermarkets. 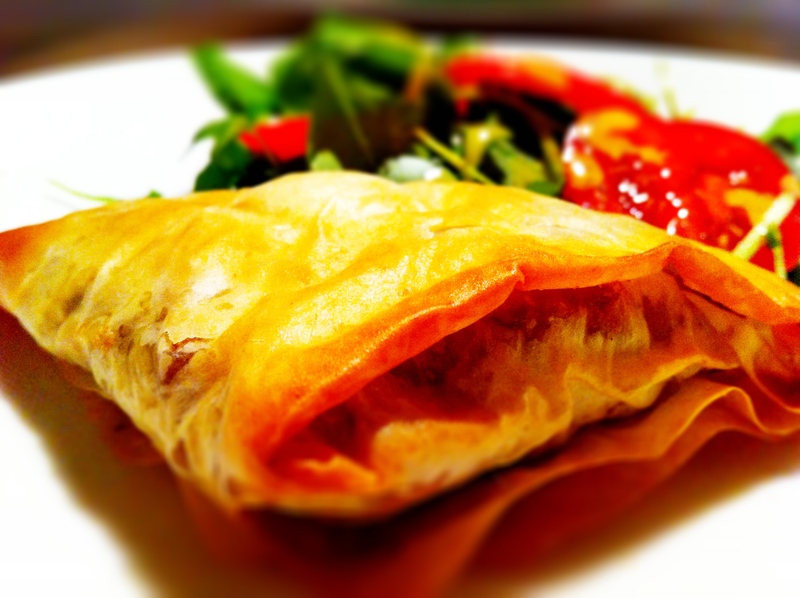 My curry filo puffs – wrapped up like a samosa but baked and not fried. We ate this with a simple salad for supper last night. The flavour of curry is so popular that the last few times I’ve stopped to buy a pasty at a pasty shop, I’ve noticed that many have stopped selling traditional flavours like pork and apple (or only offer this periodically) yet there’s always a ubiquitous curry version on offer. But whenever I see a curry pasty, I inevitably think of my home because in Southeast Asia, they are again a staple snack food but we call them curry puffs. 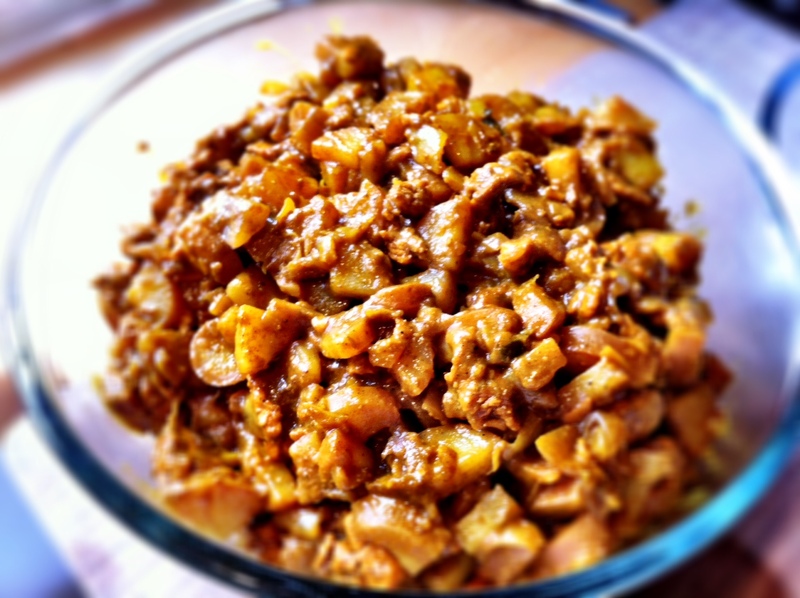 Chicken curry stuffing mixture – not much to look at but boy does it taste good. I had trouble stopping my husband from eating it all before I made the puffs. Back home, they can come in all shapes and sizes but traditionally, curry puffs look like a little pasty (with the crimped edges) but are only about a third of the size of a regular pasty More often than not, they’re also fried as opposed to baked. They are also traditionally blindingly hot, leaving your mouth and even oesophagus tingling for a good while. My husband found them irresistible, and even though he would inevitably suffer from heartburn when he used to eat them in Singapore because they were so spicy, he could never say no to them. 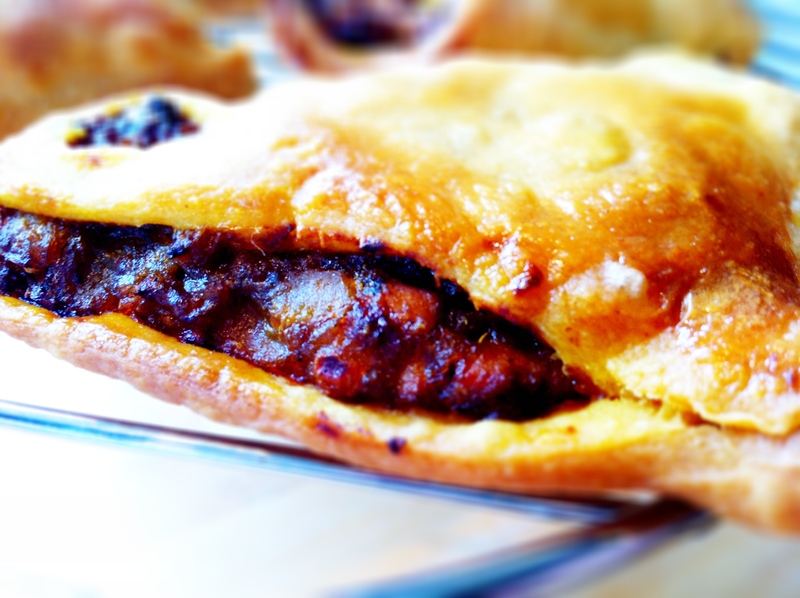 thebigfatnoodle’s curry puff puffs – stay away if you can’t handle spicy food! However, the curry puffs I grew up eating had a special suprise because sometimes, you would get a slice of hard boiled egg in them. 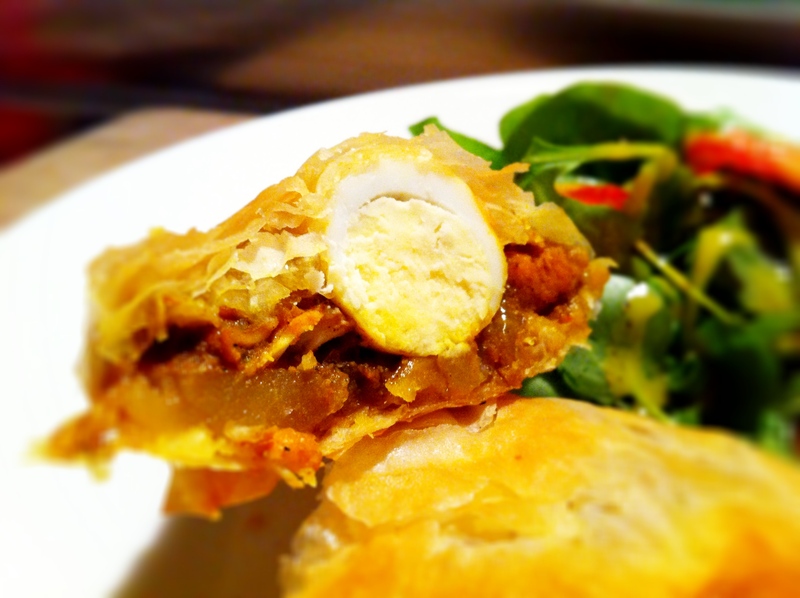 It was pot luck though because you could never tell whether your curry puff would have a bit of egg in it. It was always horribly disappointing if you got a dud egg-less puff. 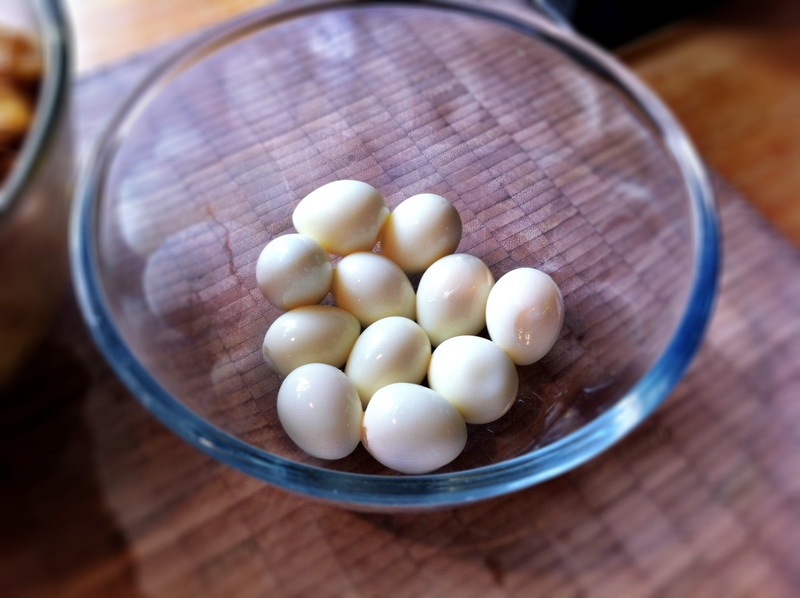 Quail’s eggs work brilliantly but normal eggs work just as well. Again, I haven’t ever found a curry puff in London that comes close to the potency or taste of the hawker stall versions from home, so I decided to try and make my own version. I used my own home-made puff pastry in the first batch I made, and we ate them cold with our friends at our town’s Jubilee celebrations – perfect after an afternoon of drinking pimm’s and cider, listening to local bands play at Godalming’s bandstand before the fireworks. 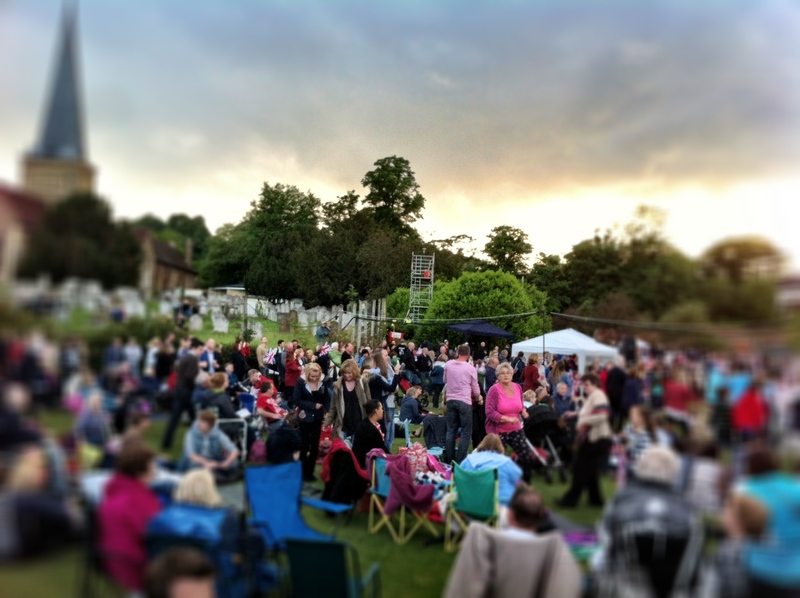 Despite the dreary weather, our townsfolk where out in force for the recent Jubilee celebrations. We were there armed with beer, cider, pimm’s and curry puffs! At 4 pm, the sun broke free, just as I ordered my first Pimm’s, LOL! I don’t generally rave about my cooking but I really am very, very proud of these curry puffs. As they say, the proof is in the pudding, and the 12 generously sized curry puffs were rapidly devoured by my husband and friends. I was worried that I’d made them too spicy but thankfully, all of my friends loved them! I’d made about 15 curry puffs, along with numerous sausage rolls, all of which was devoured in a few short hours during the Jubilee Sunday celebrations. The stuffing is basically a curry blend I’ve created and cooked with potatoes to make a chicken and potato curry. It’s so versatile because you can eat it on its own, as a sandwich stuffing, in these puffs or, as per my husband’s creation, stir fried with vermicelli rice noodles, fresh edamame beans, spinach and mushrooms. He made this for our brunch this morning as I sat here typing up this post. 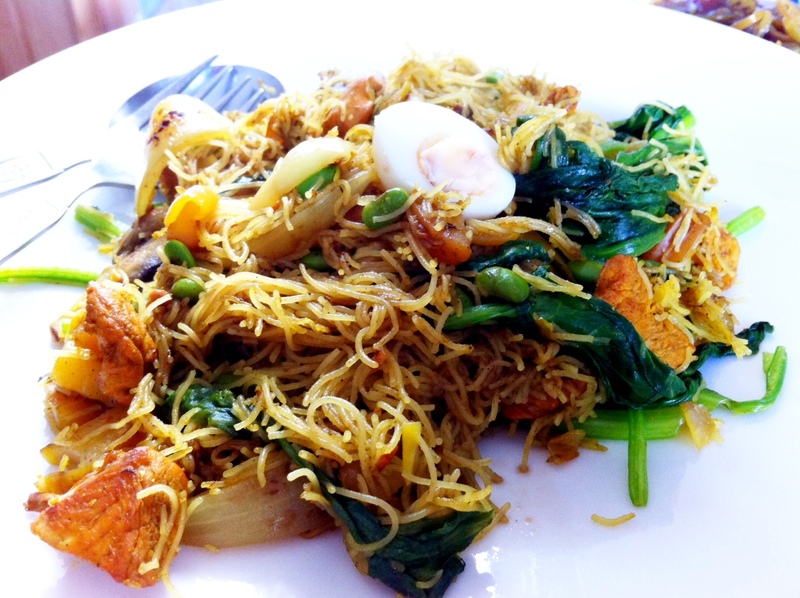 Curried noodles, made with the same chicken and potato stuffing, but fried with some vermicelli rice noodles, spinach, edamame beans and mushrooms. YUM! Ever since the Jubilee, my husband has been asking me to make them again so that’s what I have done this weekend. I couldn’t resist adding this photo. 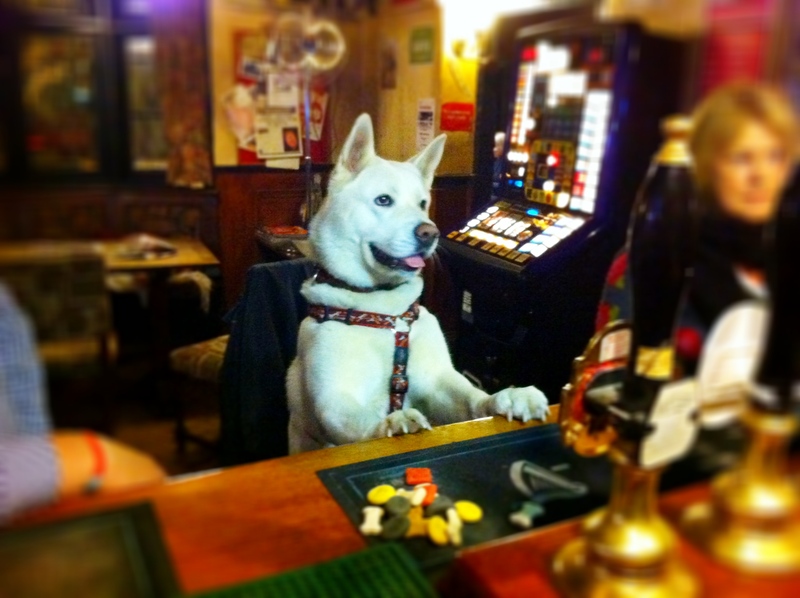 This is Casper, whom we met at our local pub after the Godalming Jubilee fireworks. Oozing with lovely, spicy chicken and potato curry stuffing. I haven’t even been tempted to try and tweak the recipe in any way but what I have done this time to make some with filo pastry as well preparing more traditional ones in puff pastry. Both versions are equally nice and it’s hard for me to say whether I prefer them when they’re hot or cold, with filo or with puff. The ones made with filo deliver that amazing but delicate crunch when the filo shatters in your mouth, but the puff pastry versions are deliciously rich and crumbly in your mouth. If you’re eating them cold, then the puff pastry versions are the ultimate bomb because the filo ones simply go a bit soft when cold however can easily crisp up again when reheated in the oven. The only word of warning I have to give is that these puffs are hot! Perhaps not quite as searingly hot as the ones I’ve eaten at home but these will nevertheless leave your mouth zinging! What I’m extra pleased with is that it’s not like a vindaloo burn which numbs your taste buds completely; instead, this heat actually only kicks in a good few seconds after you swallow, and leaves a heady mix of curry, sweet, sour and salty flavours on your palate for quite a while. The Jubilee weekend batch was also the first time I’d made my own puff pastry and I cheated by using a Gordon Ramsay recipe, which not only works but works brilliantly! His buttery rough puff pastry doesn’t require endless rolling/folding but takes just 30 mins to make – it’s seriously worth a go, especially if you’ve never made puff pastry before. Because it was so easy to make, it’s also given me the confidence to try making a traditional batch of puff pastry the next time round. I made a variety of puffs in different shapes using the puff pastry, ranging from a classic triangular turn-over, to ones that looked like sausage rolls. I also made some half-open pastry style puffs too. 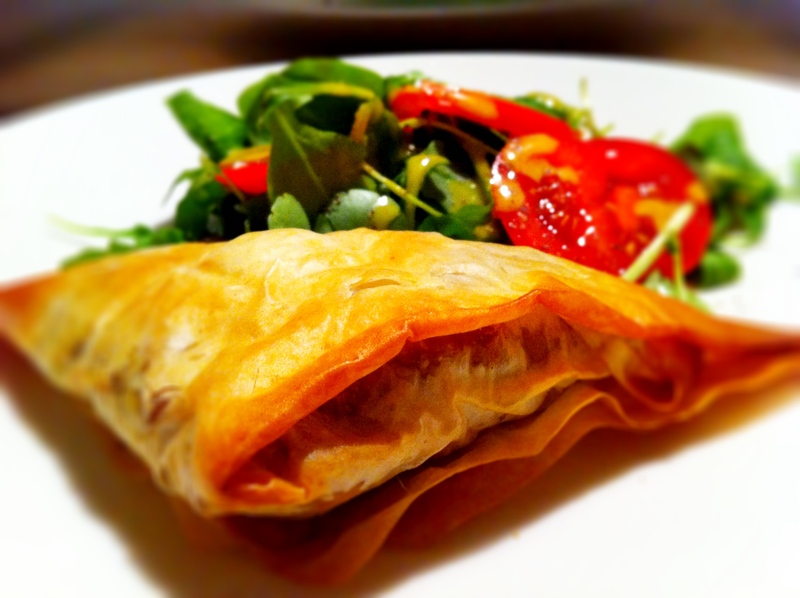 Curry puffs in filo – samosa style. Using filo, I wrapped the curry in filo (with a whole quail’s eggs in each) to make large samosas while I also made some open and closed curry cups using a muffin tray as a mould. 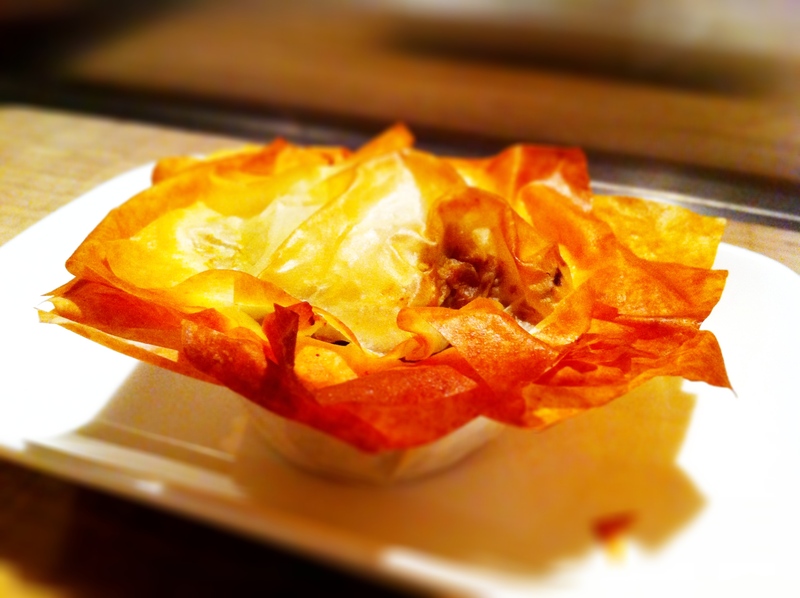 I didn’t butter every sheet of filo pastry for the cups as I was again trying to keep things a little healthier. Curry powder and freshly milled spices with a sprinkling of dried curry leaves because I can’t get hold of any fresh curry leaves. Whatever shapes you make, with filo or with puff, I think you’ll really like these curry puffs particularly if you’re a curry fan. If unsure what curry powder you should get, I have to say that the Waitrose curry powder is really, really good… that’s what I’ve used in these. 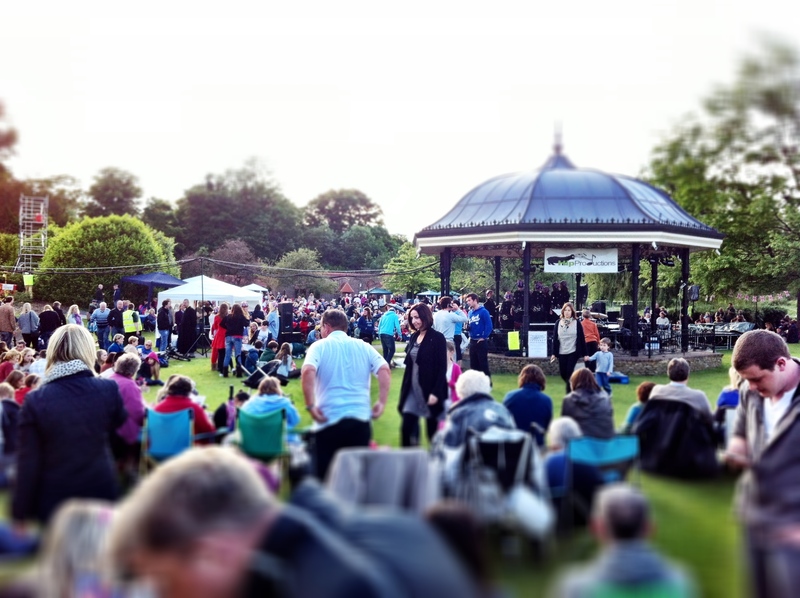 My husband made a couple of videos during our town’s Jubilee celebrations so if you’re interested in seeing what we got up to in our little town, I’ve added them to the end of this post. Click here the bigmonster’s Godalming Jubilee video here. I prefer using waxy potatoes, like these red Roseval potatoes. My husband loves them. An eggy treat hidden in each curry filo cup. 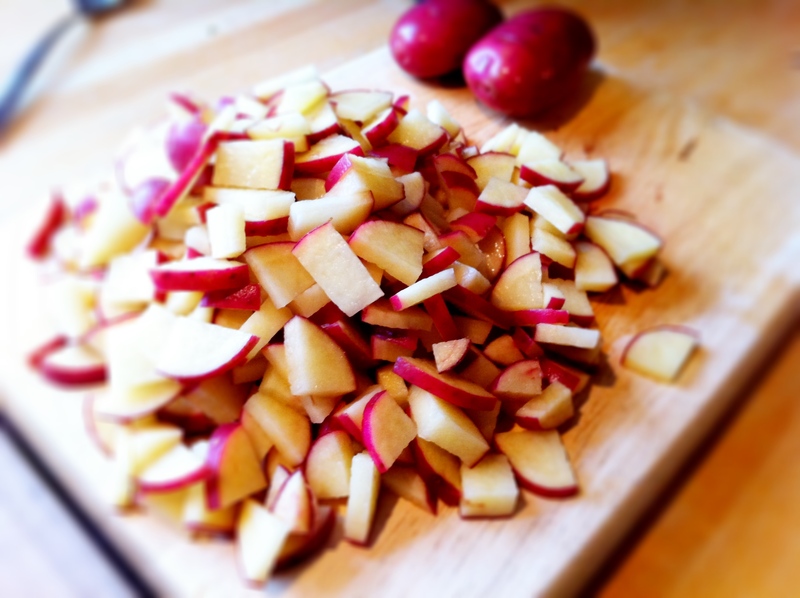 500 grams waxy potatoes like red roseval, quartered and then sliced. Start by boiling your potatoes in some salted water for about 6- 8 minutes – you want your sliced potatoes to be only just cooked with the tiniest bit of bite still left in them. Drain them well and rinse them in cold water to stop them from cooking further. While the potatoes are cooking, toast the cumin seeds, black onion seeds and coriander seeds. 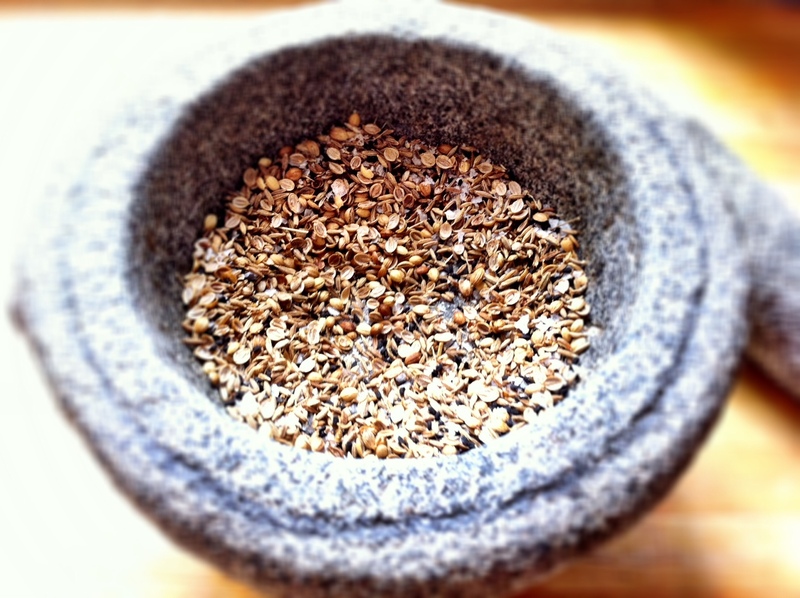 Put the toasted spices into a mortar and pestle (or spice mill/grinder) and add your teaspoon of sea salt. 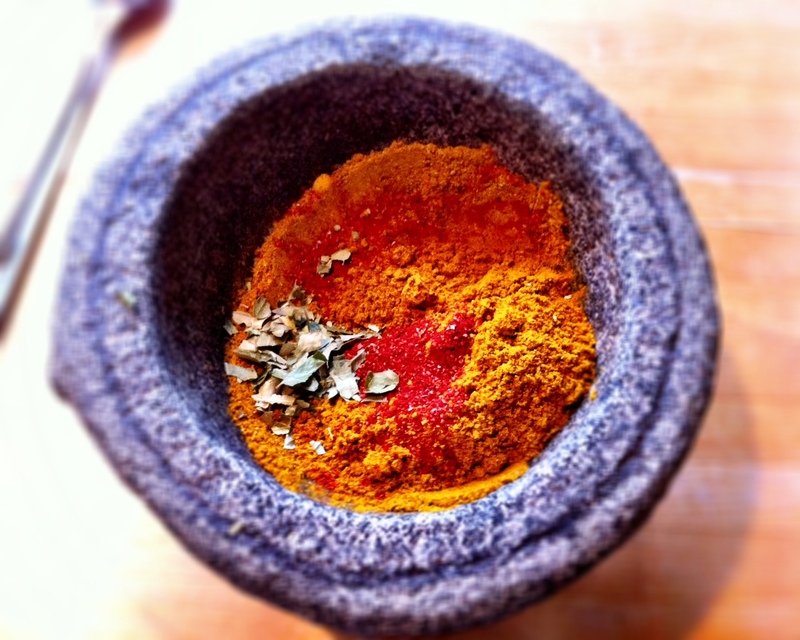 Grind to a fine powder, then mix in your dried curry leaves, chilli and curry powder. In a saucepan, heat 2 tablespoons of groundnut oil and sauté your shallots, onions and garlic over a medium low heat for 5 minutes until they’ve softened. Turn the heat back up to high and then add in your dry spices. Fry the spices and toss with the onions well for a minute. The spices should turn dark brown. Add your chicken and fry with the spices and onions, it shouldn’t take more than 5-7 minutes for the chicken to cook through because they’re in small pieces. Squeeze over your lemon juice, keep frying, and then add your mango chutney. Finally, add your cold potatoes and toss well. There shouldn’t be too much liquid in your curry left and your potatoes should also absorb any liquid as well so you’ll end up with only a minimally wet curry mixture. 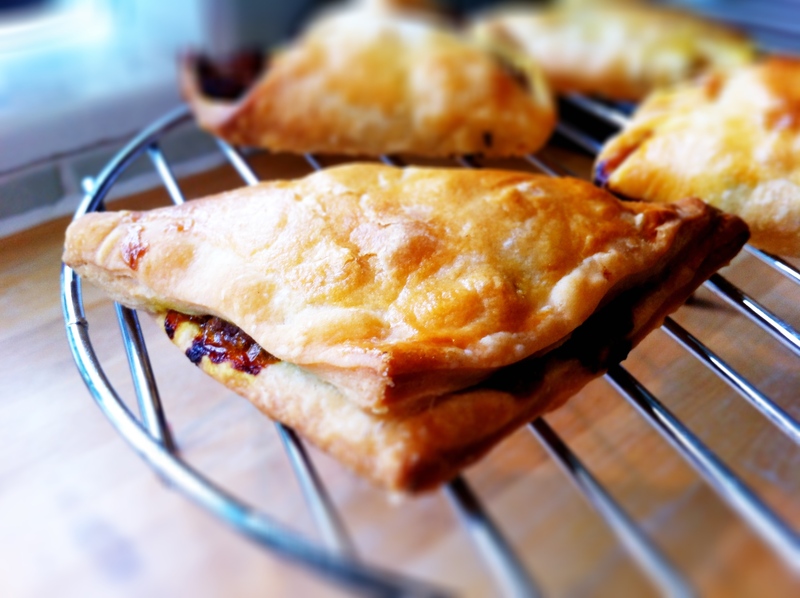 Allow the curry to cool, and then use either puff pastry or filo pastry to make your curry puffs. Depending on the size or type of curry puffs you’re making, layer a bit of curry before placing a pice of egg and then covering the egg with more curry before sealing up with whatever pastry you’ve decided to use. 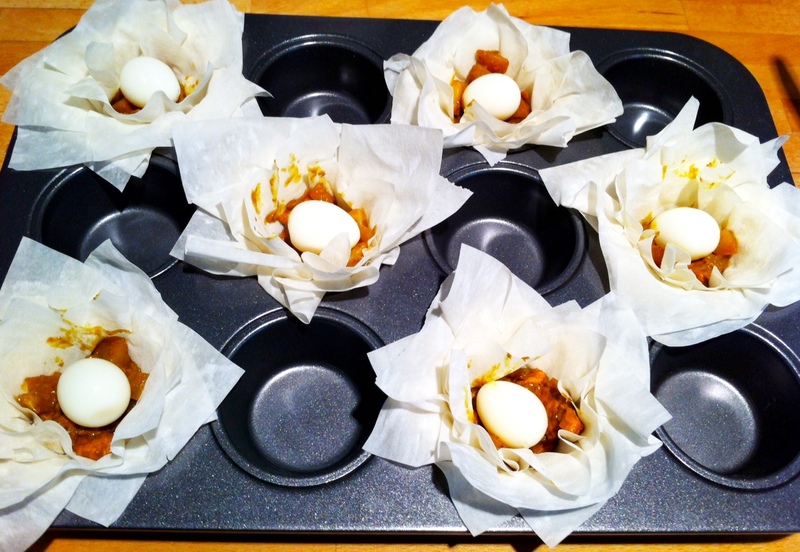 For the filo curry cups, I placed approximately 5 squares of filo in each mould and then topped them with another 1-2 pieces of filo squares, scrunched up and brushed with butter. Brush the puff pastry versions with egg or milk wash or if you’re using filo pastry, brush each side of every sheet with melted butter. Bake them in a 200C oven for about 10 minutes or until golden brown. I’d recommend you eat the filo versions piping hot. The puff pastry versions can be eaten cold and also frozen. What an incredibly appetizing post. How have I missed curry puffs among all the Indian dishes I have tried? Thanks to your recipe I’m definitely going to try them. I adore curry, as you may know, Noodle. These look fantastic and sound yummy :). 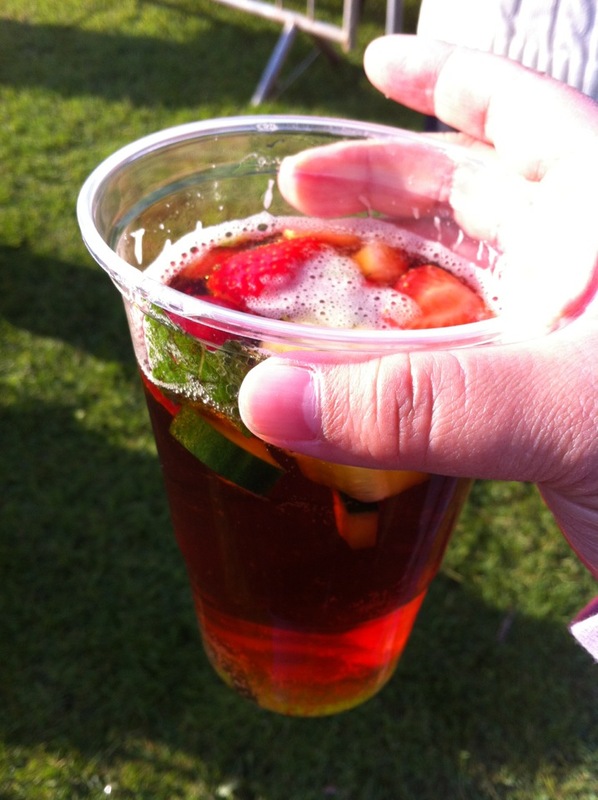 I also adore pimms, can’t get enough of the stuff. Did you see my recent strawberry and pimms clafoutis? I think you might like it. Looks like you had fantastic celebrations for the jubilee! I adore curry puffs. I’m used to the ones from the Chinese grocery stores here, they’re a golden-yellow flaky pastry, with curry in the pastry AND in the filling, which is usually beef and potatoes. After reading your recipes/hints I think it’s time to have a go at making some, and not just buying them! 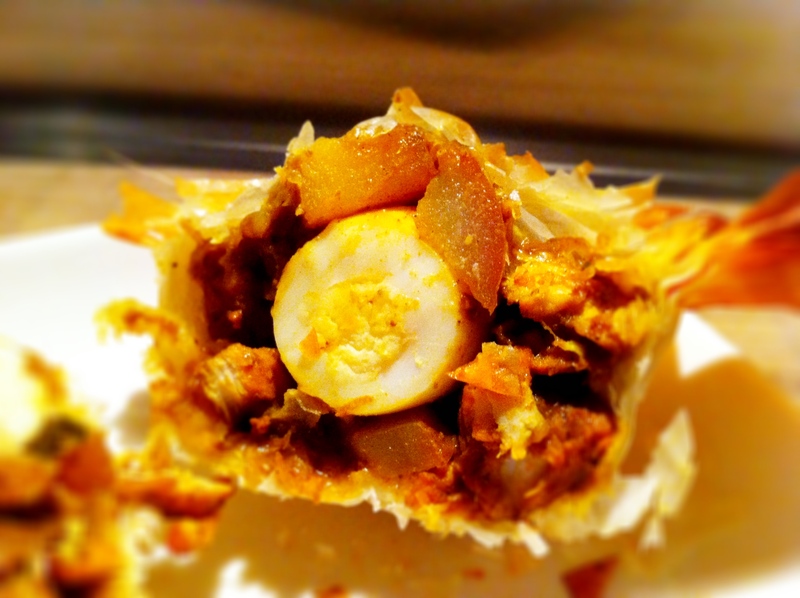 The little egg surprise inside of each little curry puff is delightful. I’m a huge fan of curries and can never get enough of it. I love the look of these spicy puffs and the idea of an egg in them sounds delish too! You have my mouth watering! 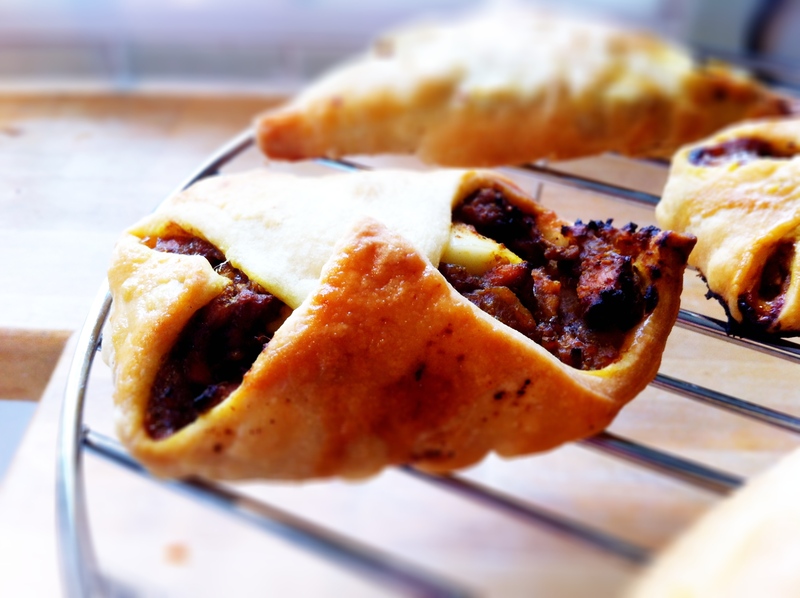 These curry pasties look fantastic! I love the surprise egg inside…what a nice childhood memory! I bet your friends at the Jubilee were so impressed. I would think I had died and gone to heaven!